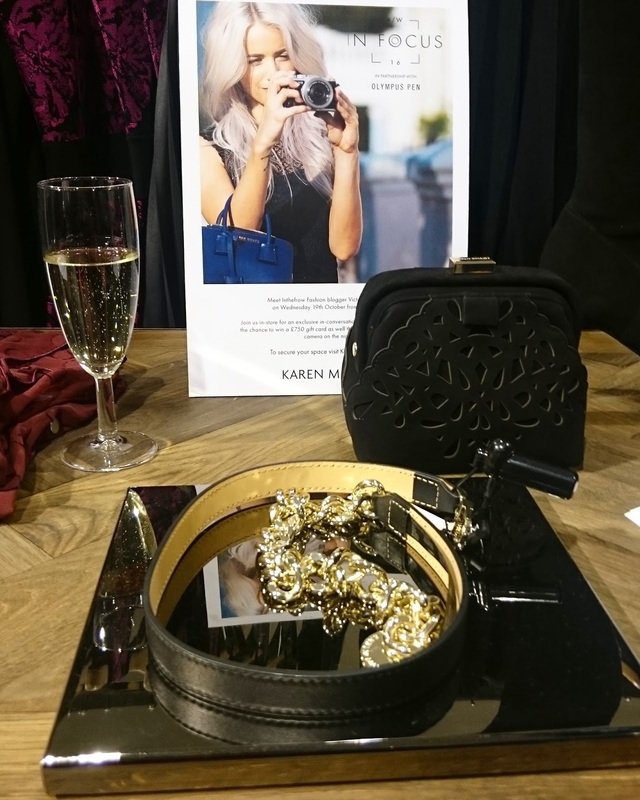 Last Wednesday evening I had the pleasure of attending the Karen Millen AW/16 In Focus event in partnership with Olympus, held at the Covent Garden store. 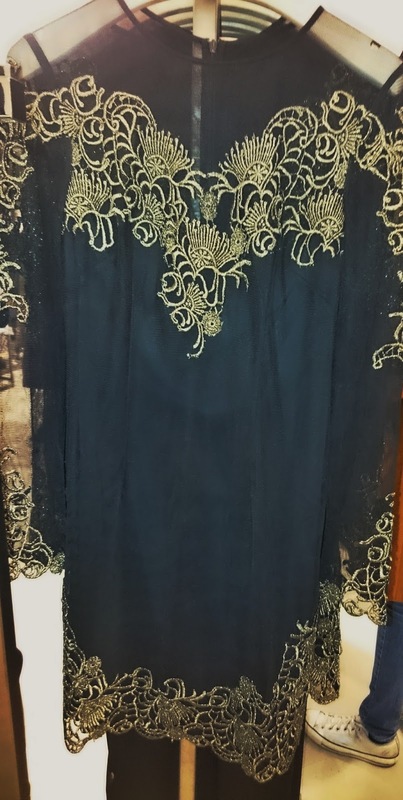 For one night only, attendees were treated to an evening of new season fashion with 20% discount, photography courtesy of Olympus, makeovers provided by Danielle Hudson as well as bubbles on arrival. Not only that, blogging sensation Inthefrow was at the event providing insight into her exciting life, transition to high-end fashion as well as to provide tips on blog photography. It’s not often you get to meet one of your blogger idols, though to meet one quite as successful as Blogosphere’s own covergirl Inthefrow and gain some insight into her world during a workshop was a fantastic experience. Victoria Magrath, more commonly known as Inthefrow collaborated with Karen Millen selecting her #MYKM favourites from the new season collection. 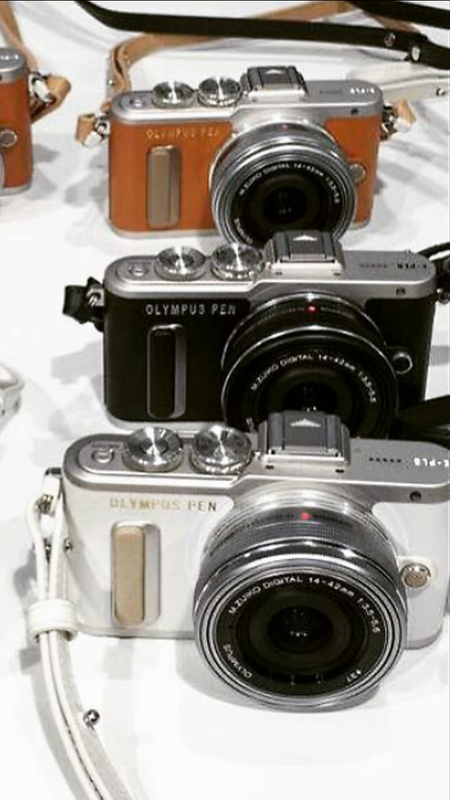 Also hosting the workshop were blogger camera fave Olympus, sharing their tips of how to use the new Olympus PEN E-PL8 to obtain the best quality photographs for your blog. The talk hosted by Olympus ambassador and fashion photographer Jay McLaughlin, was lighthearted with Victoria explaining it can sometimes be difficult to obtain the desired shot due to imperfections, wind swept hair and photobombers. It was good to know established bloggers such as Victoria have some of the same struggles as the rest of us and she made us all feel welcome by posing for photographs and mingling with us individually. Attendees were given a glass of bubbles on arrival as they browsed the styles of the season. 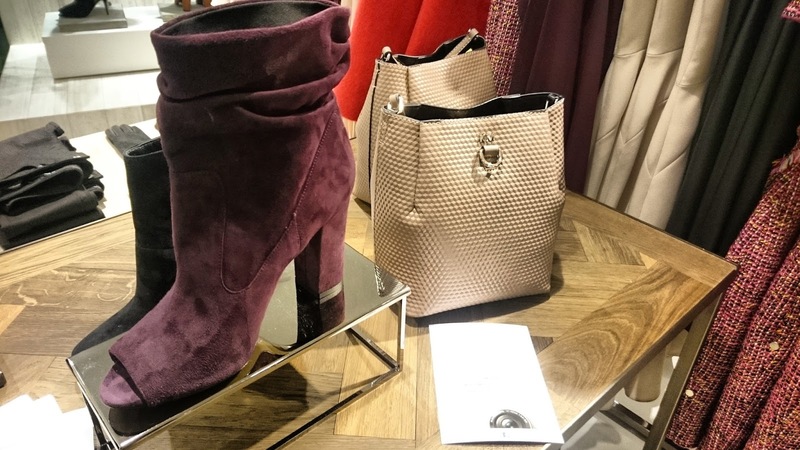 Deep burgundy hues, luxe velvet and lace fabrics were the dominant theme in the Karen Millen AW/16 collection and I couldn’t help falling in love with the aubergine coloured suede peeptoe boots shown below. 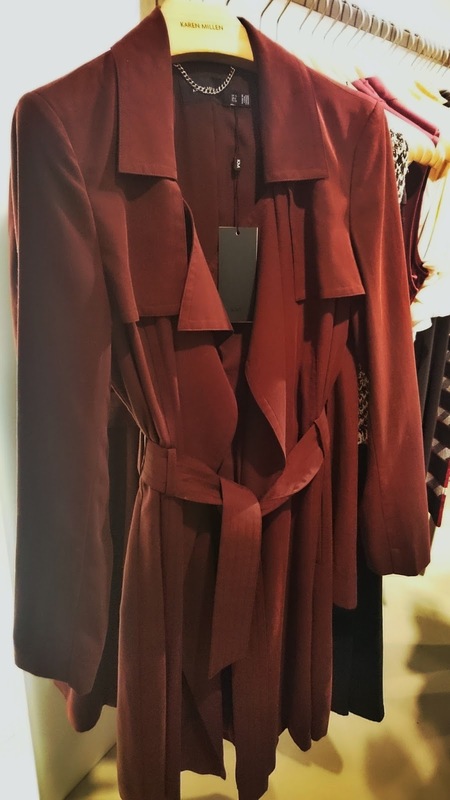 The season has seen some great styles with soft satin baby pink garments mixed in with more decadent fabrics such as lace and velvet in deeper shades and Karen Millen was no exception. The detail in the dress worn by Inthefrow was particularly beautiful, a trail of pale pink and white flowers leading to a cutout lace neckline. A selection of pieces were ideal for the work to evening wear transition with some incorporating some of the metallic inserts set to be a fashion must for Spring 2017. I purchased a pair of rose gold studs, which came with a beautiful floral Karen Millen shopper tote. Included was an animal print Karen Millen clutch bag and a copy of Stylist Magazine. 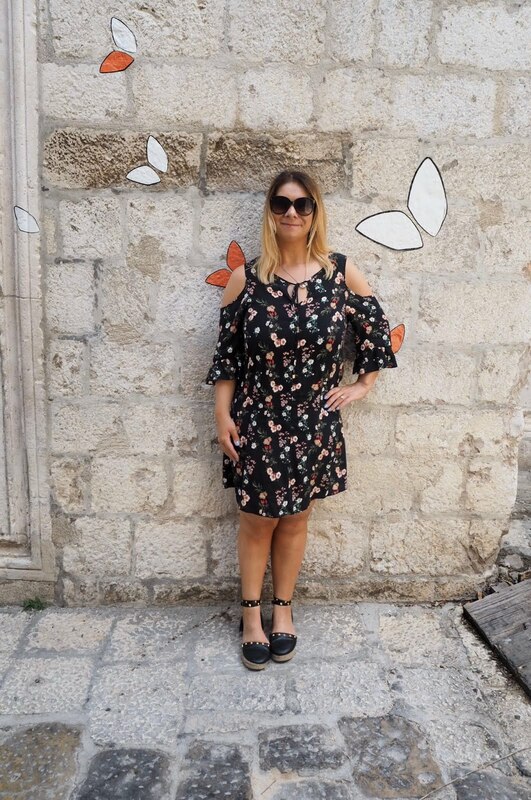 As part of the event there was an Olympus photoshoot and it was lovely to meet some of the bloggers in attendance: Phillppa Loves Design, Atelier of Style, Style Memoire, Bumas Closet with some of us including Inthefrow fan Paulina posing for a picture together. Makeovers were also available with Danielle Hudson Makeup, which in hindsight I wish I’d had one prior to the photoshoot! 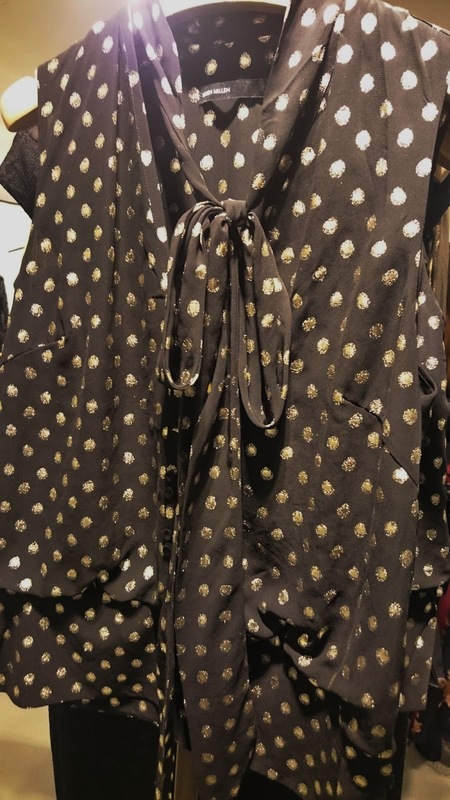 It was a fabulous event to shop the styles of the season, obtain blogger and camera tips from Inthefrow and Olympus – thank you to Karen Millen Covent Garden for a lovely evening of champagne and shopping! Special thanks to Claire at Olympus who spent some time showing me how to do tricks on the camera, including camera to WiFi photo sharing. To browse the collection online click here or to find your nearest store, use the store finder link on the website.